CHICAGO — Equine Welfare Alliance (EWA) – Despite dozens of articles about the imminent opening of a horse slaughter plant in Rockville, Missouri, EWA has learned that the plant is not opening anytime in the foreseeable future. Along with a big keister, she has a big mouth. She’s a bully. She threatens. Tries to intimidate. And while she casts a spell over a weak Wyoming Legislature by use of aggression, it hasn’t worked any- where else in the nation. 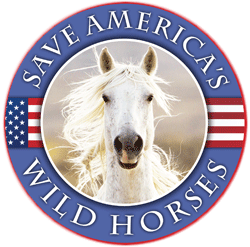 Sue Wallis, a Wyoming state representative and the most visible booster for horse slaughter in the United States, took it on the chin the other day in Missouri, as local residents strongly opposed her proposal for a horse slaughter plant near the Mountain Grove community of nearly 5,000. There were about 300 angry residents who packed the town council meeting at the Mountain Grove Senior Center and wanted nothing to do with such an enterprise in their town. They knew that profits would be slim, and that they’d also be getting too large a share of pollution problems, reduced property values, and animal cruelty bound up with this industry. Preferring to deal in facts, we prefer not to editorialize about personalities. However, sometimes a public figure will say something so revealing about their motives and ethical beliefs that it suddenly shines a light into motives that had never seen light. We are, of course, referring to the heretofore enigma that was Sue Wallis, WY state representative and self appointed scientist, veterinarian, medical doctor and omnipotent master of all aspects of horses and their welfare. It’s all over the internet about the petite, 21-year-old Oregon woman, Jasha Lottin, killing her own 32-year-old horse, stripping off her clothes, climbing “inside” the dead horse’s body, asking her boyfriend to take pictures of her, eating the flesh of her horse and then posting the bloody pictures on the web and wondering why people are flipping out?!?!? DUUUHHHHH!!! Campbell County prosecutors have launched an investigation into whether state lawmaker Sue Wallis has abused her power by promoting horse-slaughter legislation. The probe stems from an ethics complaint filed last month by an animal-rights advocate from Cody.